The farmer's family claimed that the farmer, father of six girls and a boy, committed suicide due to mental stress. Dehradun: A debt-ridden farmer today allegedly committed suicide by hanging at Haldi Pachpera village of Uttarakhand's Udham Singh Nagar district. 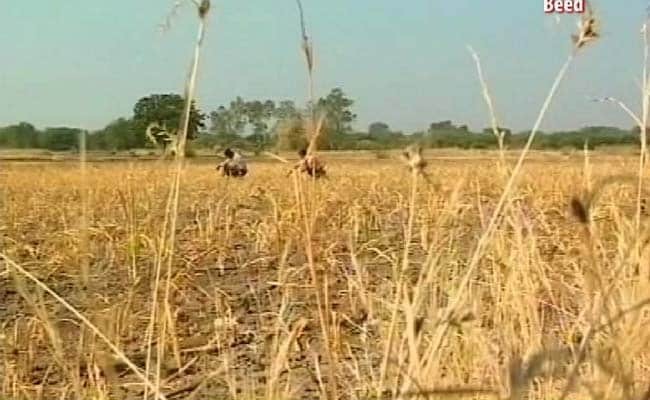 The opposition Congress alleged that the farmer, Ram Awtar, committed suicide as banks were pressurising him to repay loan and said the BJP government in the state has no sensitivity. Meanwhile, Chief Minister Trivendra Singh Rawat condoled the farmer's death and ordered the district administration to conduct a magisterial inquiry into the matter. State government's spokesperson and Minister Madan Kaushik said the chief minister prayed for him. Udham Singh Nagar District collector the farmer had taken loan through Kisan credit card. However, he said, the reason behind the farmer's extreme step would be known after the Khatima SDM submits his inquiry report. According to the farmer's family member, Awtar had taken a loan of Rs 1.8 lakh from the State Bank of India's Khatima branch and a farmers' loan of Rs 1.23 lakh from the Nanakmatta branch of the Bank of Baroda but as his financial condition deteriorated, he failed to repay the loans. On June 6, the SBI sent him a notice to repay the loan and its interest following which he was in a state of shock, his family members said. They claimed that the farmer, father of six girls and a boy, committed suicide due to mental stress. Uttarakhand Congress chief Pritam Singh alleged that farmers in the state are committing suicide as banks are pressurising them to repay loan. He claimed that besides Ram Awtar, a farmer from Tehri Garhwal district, Dinesh Prasad Semwal, also committed suicide due to pressure from banks to repay loan. Expressing sorrow over the deaths, Mr Singh said he has sent teams of party leaders to the spot to investigate the death. He said the state government should take stern action in connection with these deaths. "While the farmers are committing suicide in the state, the BJP government is busy in celebrating its 100 days in office," Mr Singh said. He demanded that the state government give compensation to the kin of the deceased farmers and to prevent banks from pressurising farmers to repay loan.